Rated 5 out of 5 by valeries2 from This captivated me I love all of the Nancy Drew games and I'm waiting to see when a new one comes out. 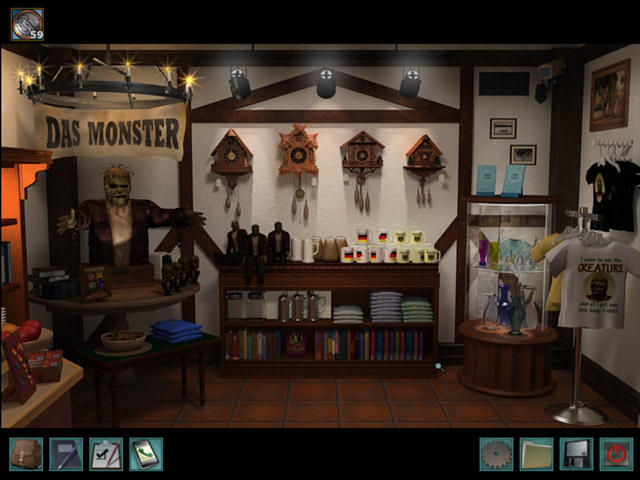 While waiting, I re-play some of the Nancy Drew games again because these are the games worth re-playing. The Captive Curse is one of my go to for re-play. I especially enjoy playing the card game within the game, it's a magic like card game. 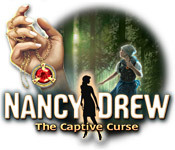 Rated 5 out of 5 by rosemaryh1 from nistalgic i started playing nancy drew games with my dad when i was 7 and now 12 years later we still get together to play the latest installments. this was one of my favorites. great characters to add to the great story line. Rated 5 out of 5 by jessx3 from Funny characters and games I loved this one! Probably one of my favorites. The German guy was funny and the castle owner was hilarious on the phone! I really enjoyed the side games to earn coins for the gift shop items and food. Puzzles were challenging and the atmosphere was awesome! Really enjoyed this one. Rated 5 out of 5 by Kimmycoo from Id like to have stayed at the Castle I really enjoyed this game. A nice long game too. I loved the characters, the history, the shop where you could buy memento's. I absolutely loved the coin finding, eater egg finding, the graphics in the woods, the passageways and the castle in general. This will always be one of my favs. I loved the voice overs too very well done! 5 star game. Rated 5 out of 5 by rosiegene25 from Captivating! Captive Curse is now at the top of my list for ND favorites. 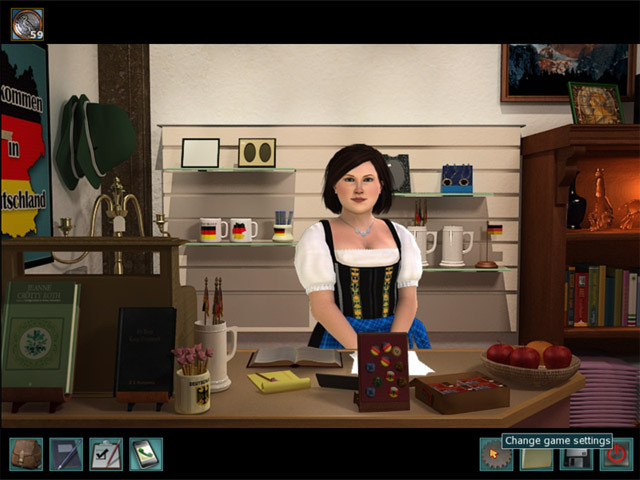 It has great graphics, cool story line (you learn a lot of interesting facts about Germany, etc.,), the puzzles are challenging, but fit the overall plot. Yes, I know finding your way around in the beginning is cumbersome, but that's part of the appeal. I like the unexpected YIKES! moments. This has all the elements that make ND games unique, yet great fun to play. Definitely recommend this game. Rated 5 out of 5 by GeoJoe2000 from Why the Bad Reviews? This is my second favorite Nancy Drew game, and it was a blast! I would like to bust some myths about this game that other reviewers said. "There is no hint button." Did you bother to look on Nancy's phone? There is a hint hotline on there! "Dialogue takes too long, and can't be skipped." In real life you can't skip conversations. Plus, a skip button would allow people to cheat. Moving around makes you feel like you are looking through her eyes. 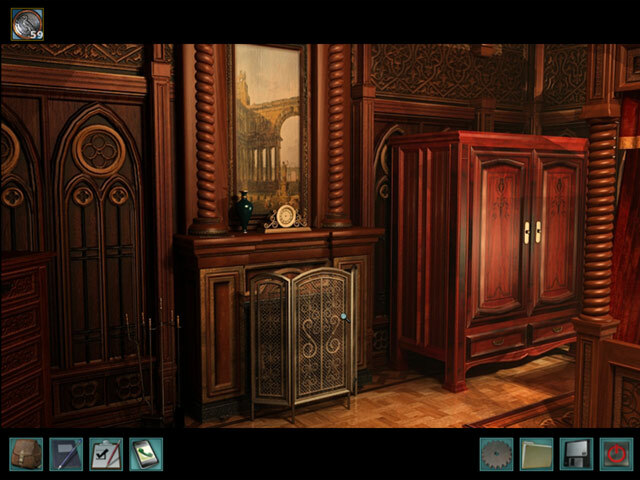 This game is a fun mix of adventure puzzles and drama. Rated 5 out of 5 by HONEYWELL666 from Best One! not boring at all .. keep you entertained !! !best one out of the series! Rated 5 out of 5 by skyfitsheavn from Captivating Unique interface and game play, but once I got the hang of it, I could not get enough! There are no HOS in the game, which usually is a very big dislike for me, but not this game- I am so glad I gave it a try. It really is superb. I loved it! I have downloaded all the ND games I can find for Mac now and would just like to say, "Please convert more from the pc format!!!"